The Gazprom Management Committee reviewed the readiness of the Unified Gas Supply System (UGSS) facilities for operation at peak loads in the 2016–2017 autumn/winter period and took note of the measures required to ensure uninterrupted long-term gas supplies to Russian and foreign consumers in winter. It was highlighted that in the coming winter Gazprom would provide reliable gas supplies to the Russian regions and meet its contractual obligations to consumers abroad. Comprehensive preparations for the autumn/winter season at the UGSS facilities included 16 sets of preventive maintenance and repair operations, all of which were completed. As usual, the gas transmission system was the focus of Gazprom’s attention. Over the first nine months of 2016, the company overhauled some 660 kilometers of gas pipelines and 262 gas distribution stations. In the meantime, 18 100 km of pipelines passed inline inspections, while 30 and 741 submerged crossings underwent repairs and check-ups, respectively. In addition, 353 gas compressors were repaired and 53.3 km of process pipes at compressor stations were overhauled. The company took efforts to facilitate the development of the underground gas storage (UGS) facility network. By the start of the 2016–2017 autumn/winter period, the maximum potential daily deliverability reached a record 801.3 million m3 of gas, which was 11.4 million m3 higher than last year. The increase is equivalent to the daily amount of gas consumed in winter by a number of Russian regions, such as the Bryansk or Novosibirsk Regions. It was noted that, in the span of six years starting from the 2010–2011 autumn/winter season, Gazprom had raised the maximum potential daily deliverability of Russian UGS facilities by 29.2%. The company completed the process of stockpiling 72.098 billion m3 of gas reserves in Russia-based UGS facilities. With the Armenian and Belarusian UGS facilities factored in, Gazprom’s gas reserves stand at about 73.3 billion m3. The reliability of the company’s gas production facilities was achieved through, inter alia, conducting complete repair of 88 comprehensive gas treatment and pre-treatment units by October 2016. 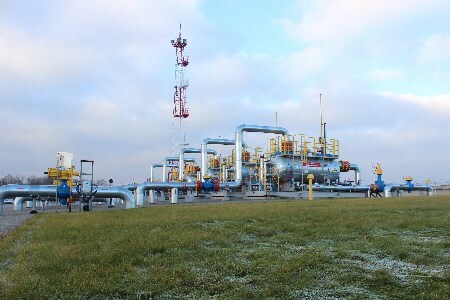 Also this year, it is planned to bring onstream a number of booster compressor stations with an aggregate capacity of 336 MW and 130 new development wells, including ones at the Bovanenkovskoye, Urengoyskoye and Yamburgskoye fields. Nonetheless, the successful operation of the UGSS at peak loads will hinge on, among other things, the availability of emergency fuel (fuel oil, coal, etc.) at heat and power generation facilities and major plants, as well as on reasonable gas consumption in the Russian regions. The Gazprom Management Committee instructed the company’s relevant units and subsidiaries to complete the winter preparations across the UGSS in a timely manner and ensure the reliable and uninterrupted functioning of facilities.